EXCELLENCE IN HEAT TREATING AND HARDENING. 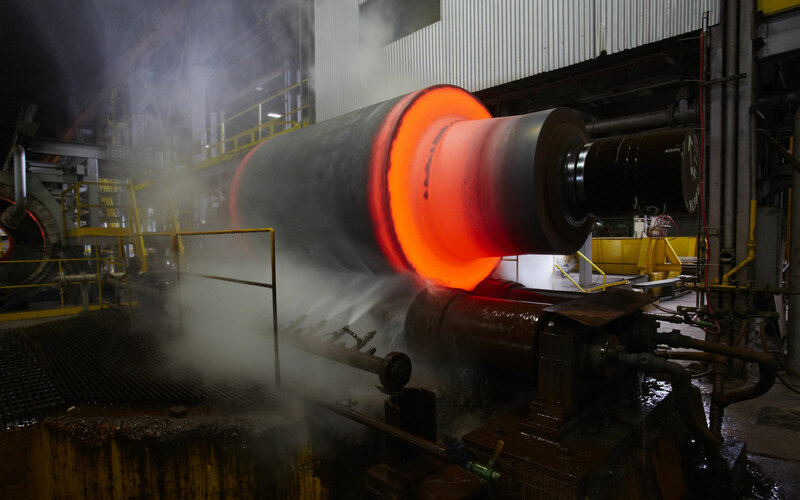 WHEMCO has broad heat treating capabilities and has developed extensive proprietary technical know-how, a subtle combination of science and art, that is essential to the production of high quality, high performance steel components. Our heat treating equipment includes horizontal car bottom and hood type furnaces, vertical induction and conventional type furnaces, SELAS rotating flash furnaces, equipment for oil quenching, tanks for water and polymer quenching, and spray quenching rigs. We can treat products in excess of 70 feet long.We can treat products in excess of 21 meters long.